James Bond is one of the most revered characters in the history of film, but don’t forget that it was Ian Fleming’s novels that catapulted the franchise into what it is today. We’ve gotten a lot of great actors who have portrayed Bond like Sean Connery, Pierce Brosnan, Timothy Dalton, Roger Moore, and Daniel Craig. Each brought their own levity and prowess to the character that makes each one of their takes on the iconic character unique. And this A-list star officially announced that he wants to be the next Bond and he claims he’s already taped his audition. “Bond. James Bond,” is quite frankly one of the simplest and most recognizable lines in film history. It’s a line that sums up the character in a way that makes him suave but also an arrogant narcissist. But at the end of the day, the MI-6 agent will do anything to protect people from super villains – almost effectively making him a superhero in his own right. Sean Connery donned the first role of Bond and brought a casual cerebral take to the character versus (and fast forward) to Daniel Craig’s version, which is a violent hothead. Now that Craig officially announced that his upcoming Bond film will be his last, there is much speculations and controversy about who will take over the role. MGM producer Barbara Broccoli holds all the cards too. She’s the decider. There was rumor that Tom Hiddleston was in talks to take over the coveted role after Craig parted ways but reports claim Broccoli felt he was too “cocky and arrogant” when she met with him. So, scratch that. You can be a traditionalist with the Bond character but it could’ve been really cool to see that. Again, scratch that because it isn’t happening. But the biggest actor who people thought “should” take over for Craig, was English actor Idris Elba. Sure, Bond isn’t black in Fleming’s novels but who really cares? He’s a great actor. He’d have fun with it. But enter Chris Hemsworth. He’s the actor known for portraying Thor in the Marvel movies. It’s no secret that “Avengers: Endgame” will likely be his last movie with the studio. That means he’s on the market and he’s also one of the biggest movie stars in the world. Of course you would expect Hemsworth to be a very physical Bond much like Daniel Craig’s versions are, but it begs the question if they want to take it in a different more cerebral direction instead. You want to balance the movies with both; action and chess matches. 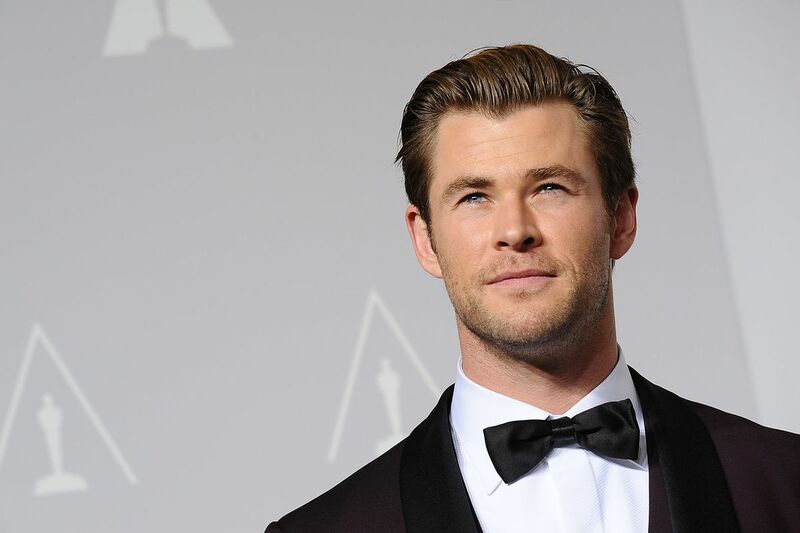 At the end of the day, Hemsworth is one of the biggest movie stars in the world and he’s vying for the role. Barbara Broccoli would be crazy not to consider him.